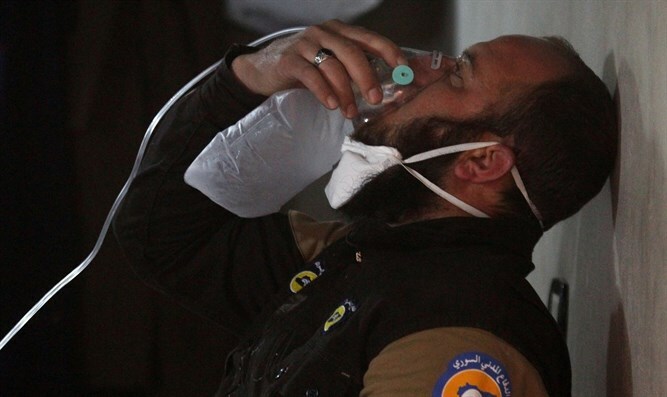 Hamas condemns chemical attack in Syria's Idlib province. Hamas on Tuesday condemned the chemical attack in Syria's Idlib province in which at least 100 people were killed. "We condemn the mass killings that are hurting the Syrian people and, in particular, the disgusting massacre that took place today in Khan Sheikhun on the outskirts of Idlib - and the use of chemical weapons against citizens," the organization said in a statement quoted by Yediot Aharonot. “We call for an end to the bloodshed in Syria,” added Hamas. A source in Washington said on Tuesday that the U.S. government believes the chemical agent sarin was used in the chemical attack in Idlib, and that it was "almost certainly" carried out by forces loyal to Syrian President Bashar Al-Assad. Hamas's condemnation of the attack is interesting given its recent tensions with Iran, a chief supporter of the Assad regime. Iran, once a stronger supporter of Hamas, has been at odds with the group over the uprising against Assad. Last year, Hamas leader Khaled Mashaal admitted that Iran had cut back its assistance to Hamas but denied reports that Iran's move stemmed from a disconnect between the group and the Islamic Republic. At the same time, even as Hamas refused to back Assad, it always refrained from criticizing Iran for its role in the mass murder of Sunni Muslims in Syria, Iraq and Yemen.